Figure 1. White Candle (basic candle). 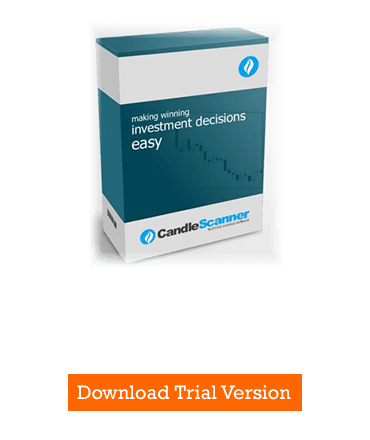 This short article discusses the White Candle, which is one of the basic candles. White Candle is very important when it comes to show the direction of the trend and its strength. Many White Candles, following each other in an uptrend confirm the significance of this trend and represent its continuation. White Candle may also form a part of other pattern, including the bearish reversal patterns (e.g. Bearish Harami, Bearish Harami Cross, Dark Cloud Cover). A single occurrence of the White Candle in a downtrend indicates its weakness and announces a possible problem with its continuation. It can also be a part of the bullish reversal patterns (e.g. Bullish Engulfing, Piercing, Morning Doji Star). Figure 2. 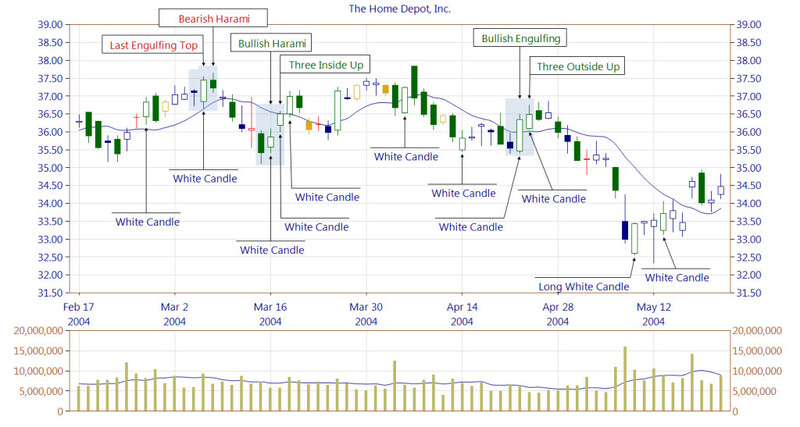 White Candles occurring independently and being part of other patterns. We can notice occurrences of the bearish reversal patterns (Last Engulfing Top, Bearish Harami) and the bullish reversal patterns (Bullish Harami, Three Inside Up, Bullish Engulfing, Three Outside Up). The diagram shows the different heights of the White Candle body, which depends on the market volatility of the previous candles. Using CandleScanner color theme on the chart is very helpful.